Kedgeree is a dish that strikes me as inherently British, meaning that all its best components come from other places. Inspired by Khichari, discovered and brought over by officers of the British Raj, kedgeree appropriates flavors from the East and marries them to flavors of the West, creating a meal that hits all the right spots. Traditionally, Kegeree is served during breakfast, which is a bit weird for Americans where rice is a dinner thing, but rice for breakfast is the best! I highly recommend it, U.S.A.. I had a rare weekend at home, and decided to play around the kedgeree components. The INCREDIBLE fruit and veggie stand, directly below my new apartment, also sells quails eggs. I've been eying them for weeks wanting to do something with them, and decided to substitute them into my kedgeree instead of chicken eggs. 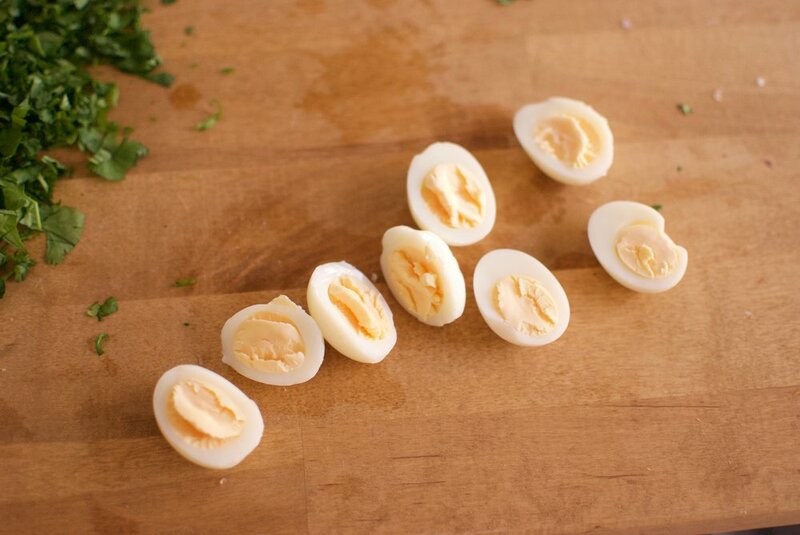 Quails eggs have a smoother yolk, and a really delicate flavor. This set the tone for the rest of the dish. Instead of throwing a lot of curry flavors, I decided to stick to Saffron and coriander (ciltantro) for the east to west flavor meld. 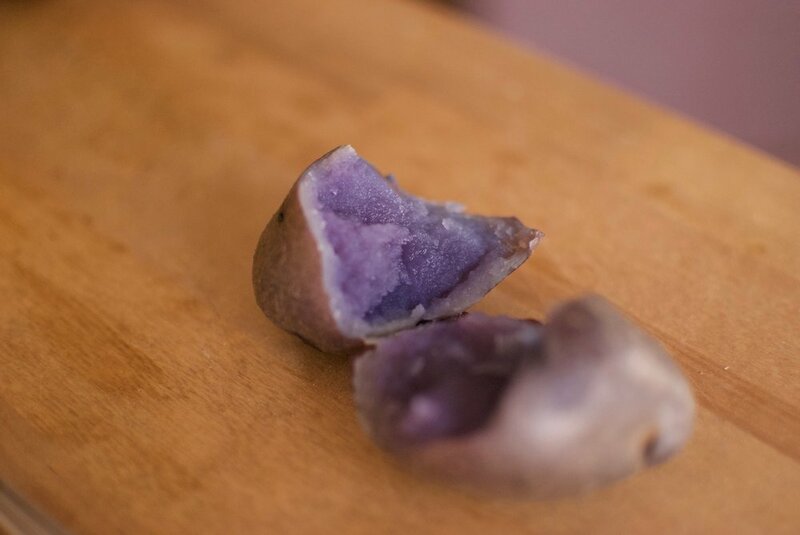 I also couldn't resist the purple potatoes, which when they are cracked open look like rare jewels. 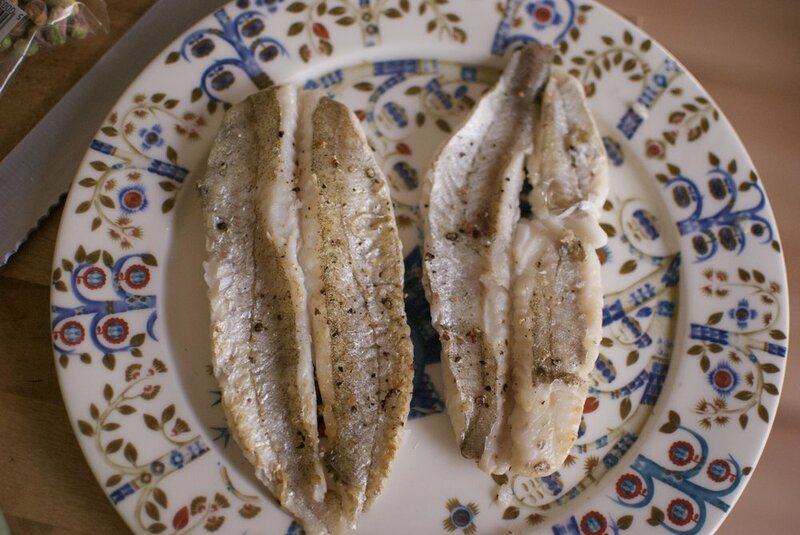 Flakey, delicate haddock was the final major component. Pretty and delicate are how I would describe this dish, for the perfect fairy brunch gathering. It's great served cold, room temp, or hot. It's filling but doesn't bog you down. 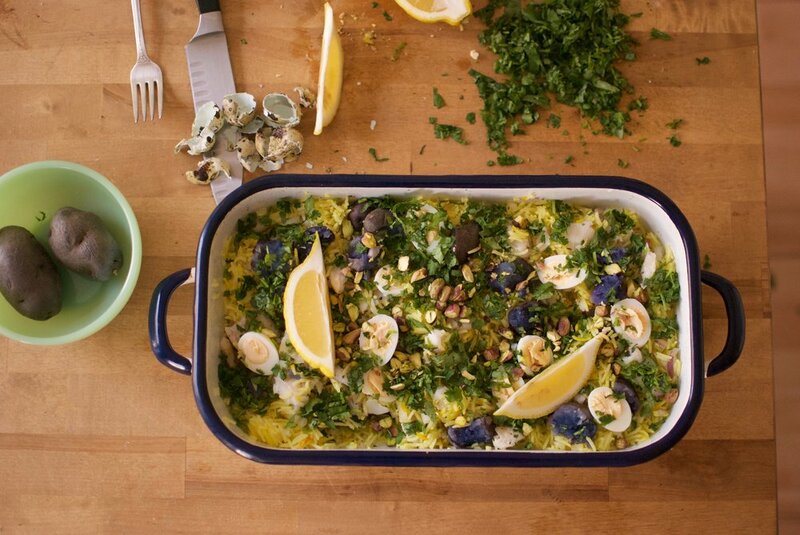 It's the perfect summer dish to throw together at basically any point of the day when you're looking for a thoroughly delightful nosh. Note on the basmati rice. My dad taught me the best way to cook this stuff. Initially, add a lot more water than you need to cook the rice. Then when it's almost done cooking in the water, drain it, and spread it over a flat casserole dish, fluff it with a fork and cover it really tightly with foil. You can either leave it on the counter, or even slide it into a warm oven. 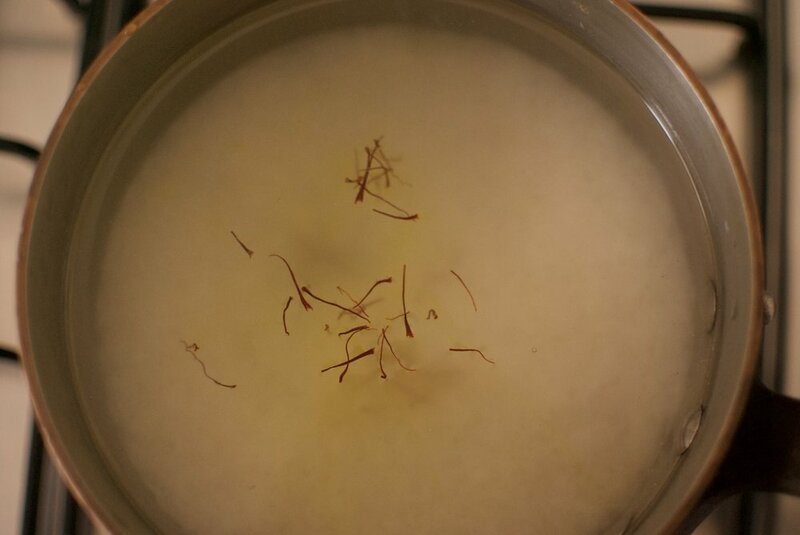 This steaming process helps get rid of more moisture and starch and creates really light, fluffy basmati. Rinse the basmati rice by putting it in a pot with cold water and stirring the rice with your hand. Drain the water and repeat this until the water runs mostly clear. Cover the rice by 2-3 inches of water, add 2 heaping spoonfuls of sea salt, and place over high heat. Drop the saffron in now. 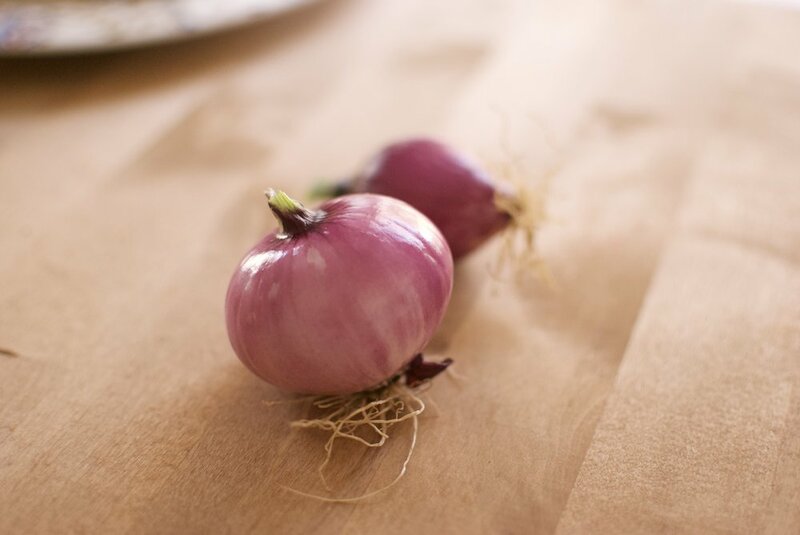 Bring to a boil then turn the heat to low and cover. Taste the rice periodically and when it is almost finished, drain and spread over a casserole dish. Then cover very tightly with foil. Let sit until other components are done. Heat up a case iron pan until smoking hot with veggie or avocado oil. Place fish skin side down and cook for 2-3 minutes. Carefully flip and cook for another 2-3 minutes. Remove to a plate and flake. Boil the purple potatoes until they are tender, and then once cooled, break apart with your hands, roughly. Heat a small saucepan of water to boiling. Drop in the quail eggs and cook for four minutes. 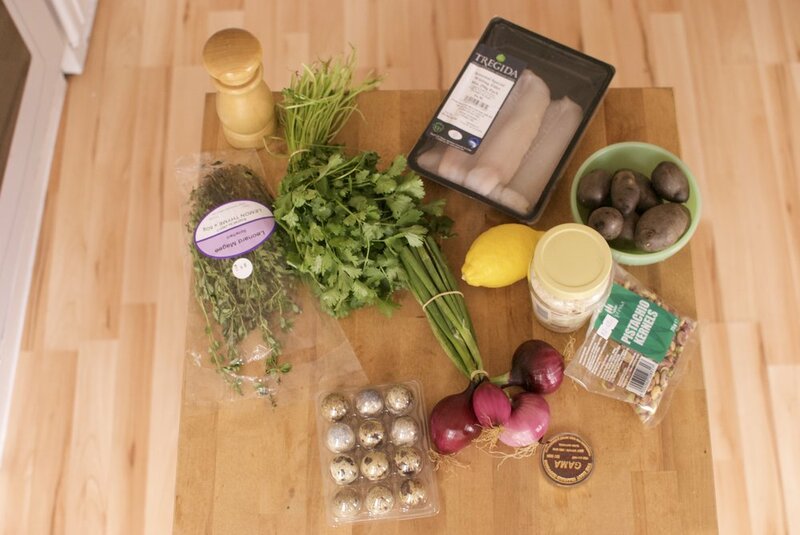 Take out and place the quail eggs in a bowl of ice water. After 10 minutes, peel the eggs and cut in half. Finally chop the cilantro and the pistachios. Finally, fold the flaked fish and potatoes into the rice. Top with the cilantro, nuts, and finally the quail eggs. Serve with a wedge of lemon.